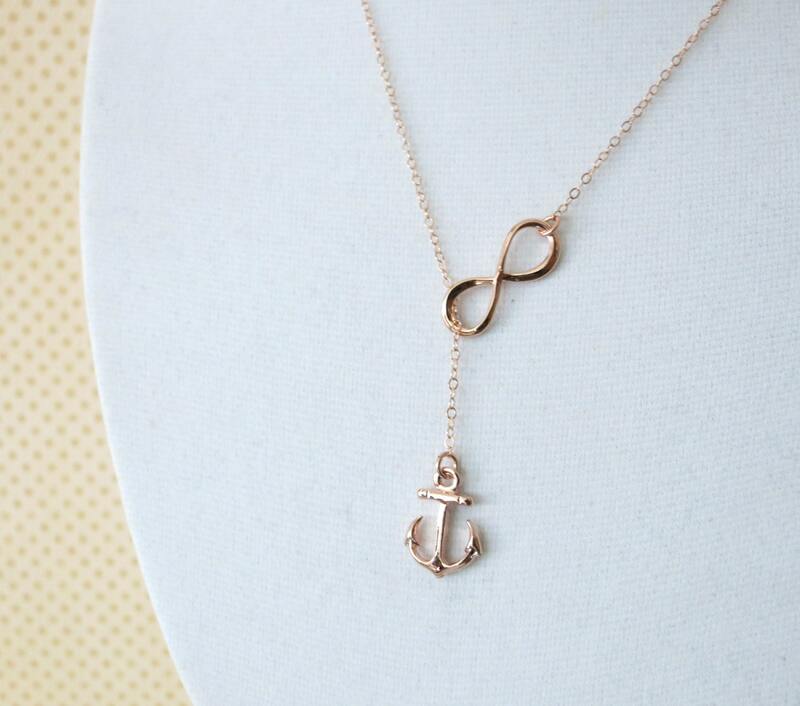 Forever Anchored, a great meaningful and symbolic necklace. 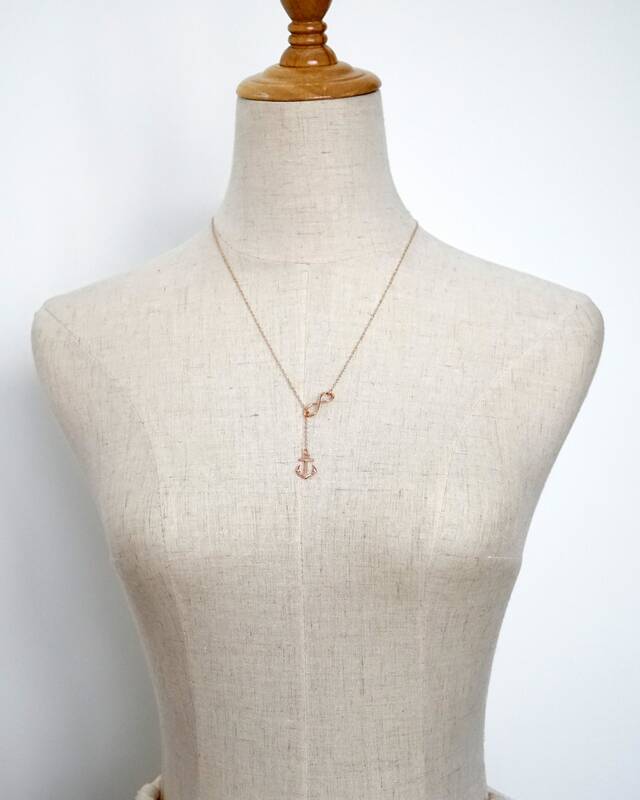 Petite rose gold Anchor and infinity on rose gold filled chain to form a y necklace. 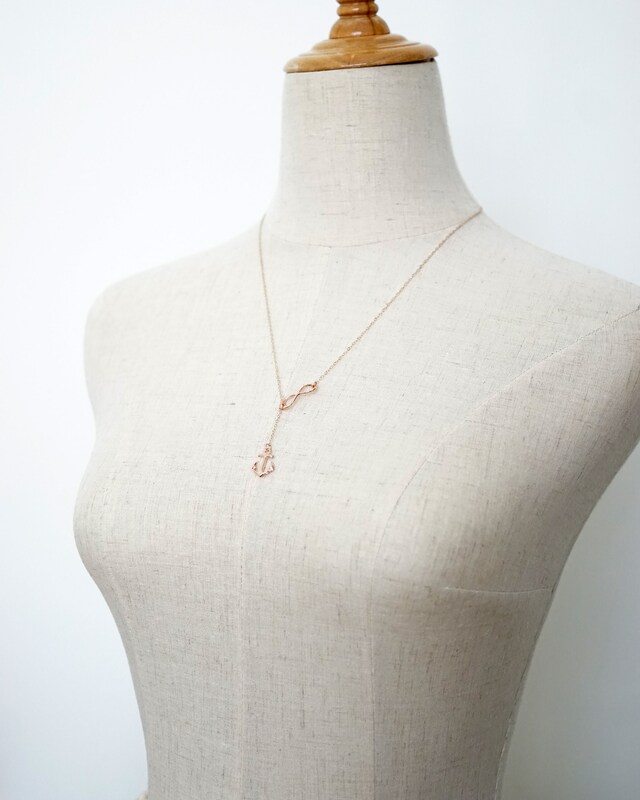 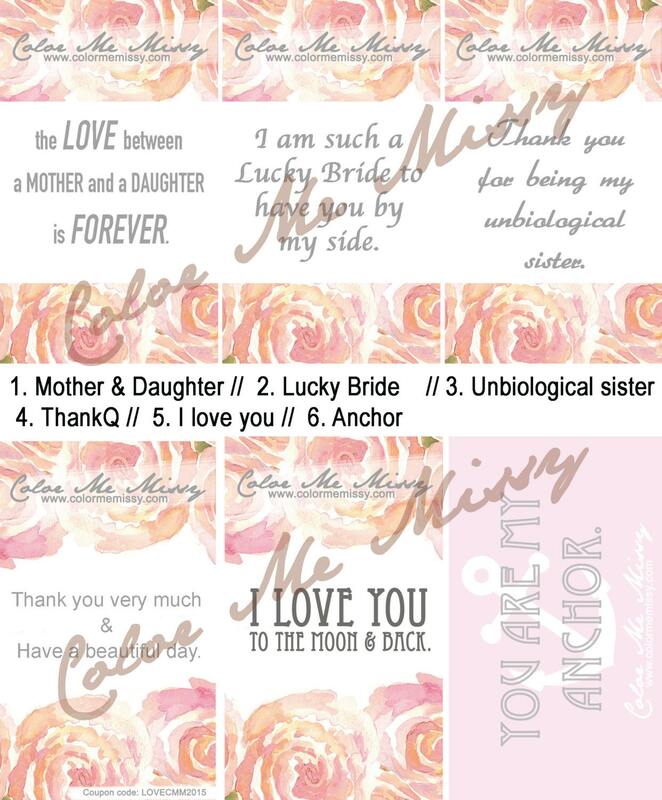 Comes on a delicate rose gold filled chain. 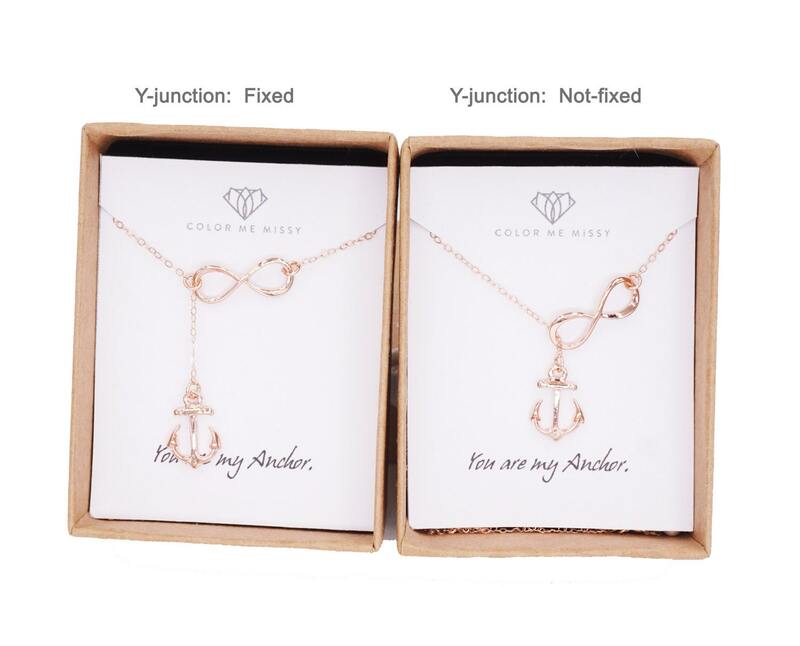 - Fixed at Y-junction: If you prefer the anchor to be fixed at 1.5 inch down from infinity. 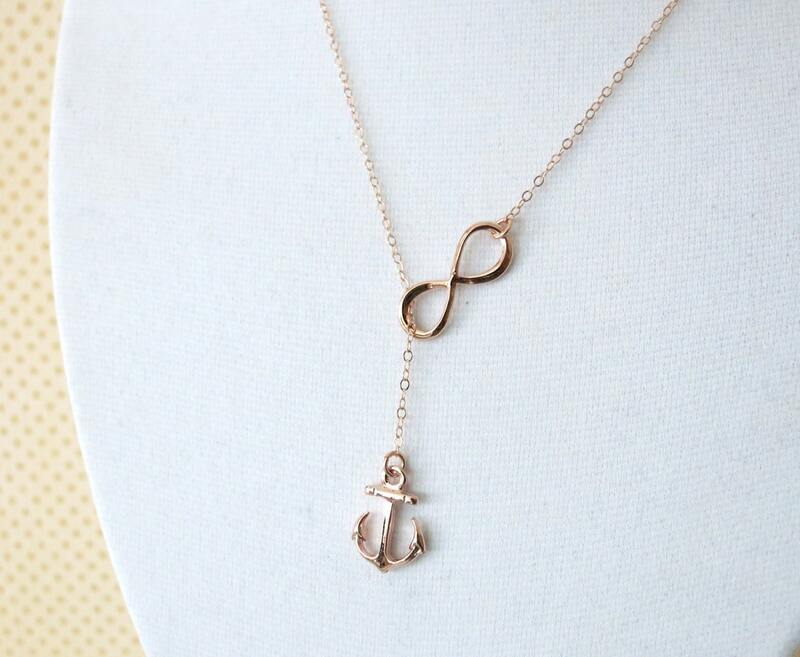 - Not Fixed: Flow freely through infinity. 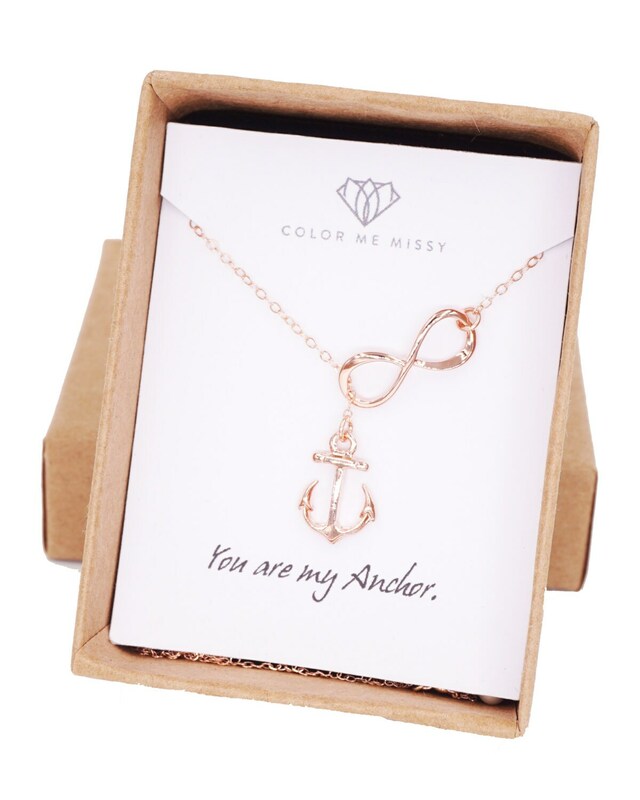 ⁕ International shipping: at least 14-250 WORKING days to deliver.